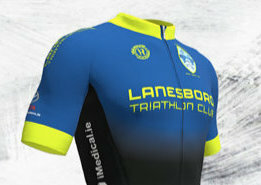 Lanesboro Triathlon Club has a range of branded gear to meet your triathlon needs including tri-suits and cycling tops, plus hoodies to keep you warm post-race. The race gear is being redesigned for 2019 by VeloRevolution. VeloRevolution produce professional quality cycling and triathlon gear at an affordable price. The price to Club members will be even better thanks to the generous support of our Club sponsors and we can’t wait to get our hands on it! It’s not quite ready yet, so be sure to keep an eye on our website for news on when, where and how to order the gear.